There are many hazards that exist in everyday life and while not all accidents can be avoided, many can be. Because some people are frail, they may be more vulnerable to hazards in the environment and this can result in life-threatening injuries. As a caregiver, you have a responsibility to ensure the safest environment possible for the individuals you serve. This course will help you prevent and manage accidents that occur as a result of environmental hazards. 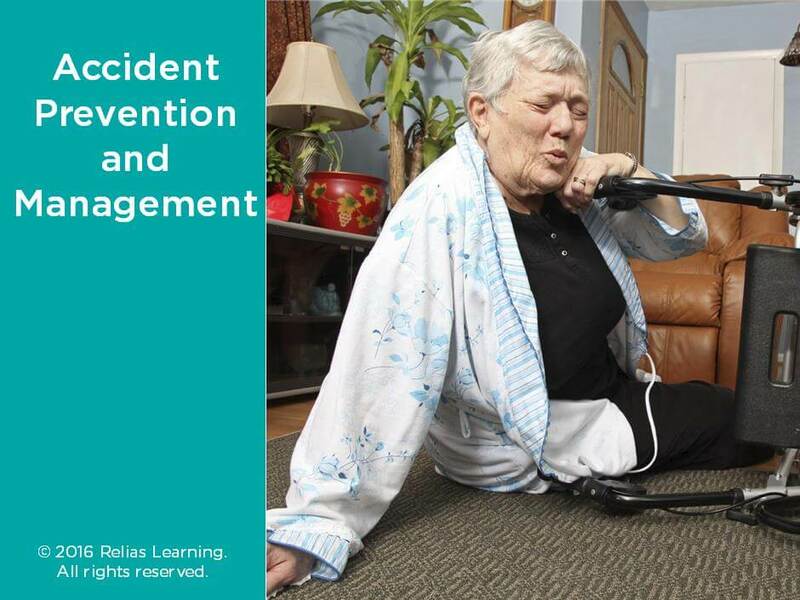 Identify three strategies to prevent an accident from happening in the presence of a hazard. Identify a response to an accident once it has occurred. The target audience for this course is: entry level Direct Care Workers; entry level General Staff; in the following settings: Home Health, Long-term Care, Post-Acute Care.